So I was beyond psyched for Strong Process to be nominated for an Inspirational Blogger award by the awesome ladies over at SleepEatGymRepeat AND then the very next day by the ever insightful Aspiring RD! 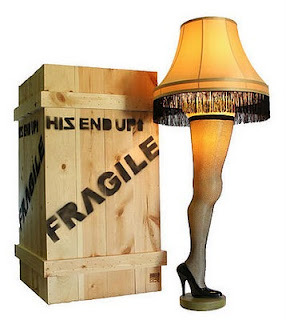 This is this little blog's first major award!! To which I say, "It's indescribably beautiful...reminds me of the 4th of July!!". As an Inspirational Blogger, I am supposed to dish on 7 things about myself that people may not already know (hmmm, could get interesting...), and then pay it forward to 7 blogs that Inspire me. Good positive blogging karma, if I do say so myself! 1) I'm a sucker for a trashy beach read. I know, I know...I'm supposed to be reading textbooks and journal articles, but sometimes my head just needs some good old fashioned brain candy. Besides, there's a slew of research out there that says reading fiction is good for you! Apparently, it helps you negotiate social interactions (uh-huh...). I'll admit it, I read the Hunger Games. Devoured the entire damn trilogy in a weekend. I feel no shame. 2) I hate melon. Canteloupe, Honey Dew, even Watermelon. I have no idea why. 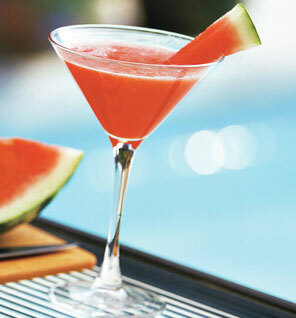 The concept of a nice juicy melon on a hot day sounds absolutely delicious to me. But every time I put a piece in my mouth, I spit it back out. It drives me bananas when I order fruit salad and all I get is a bunch of melon a few grapes. I keep thinking melon-taste will grow on me (like it did for tomatoes, which I used to hate but now can't get enough of...), but it's just not happening. Weird, I know. Hmmm....maybe I would like this watermelon. 3) I'm 30. Almost 31 (in three weeks). I know I look 16, but I swear I'm a grown-up! Most people want to hide their age, but I want to shout it from the rooftops. I AM THIRTY!! 4) I LOVE food blogs. Can't get enough. I could read 'em all day. Love the recipes, love the pics, love the peeps that write 'em (more on this when I make my Inspirational nominations...). 5) I miss eating meat. The thought of a nice juicy steak makes my mouth water (it's watering right now just thinking about it). But, I'm stubborn. Until I find a good reason to eat it again - as in, I become a recluse in the rural wilderness where a local hunter or independent farmer brings freshly butchered meat directly to my door - I won't. But, don't tell anyone, I snuck a bite of Turkey last Thanksgiving. This is not me...I just wanted you to see how ridiculous this test is. 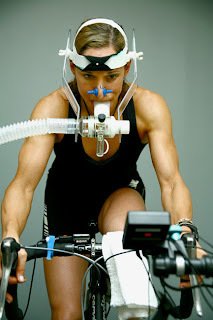 6) My VO2max is 63ml/kg/min. I just did a treadmill test in our lab the other day. I'm proud of it, and I had to brag! 7) I will take Winter any day over Summer. Hands down. Hot, humid, summer days make me batty. Sweating when I'm not exercising turns me into a bonafide crazy person. 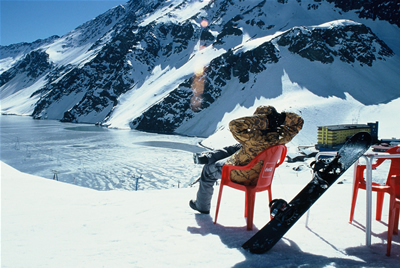 My ideal vacation would be a trip to South America in August...smack-dab in the middle of their ski season. The seven blogs that Inspire me are....drumroll, please! 1) 101cookbooks - Heidi Swanson and her beautiful website were my first blog-love. I draw inspiration from her recipe (and life) journal pretty much daily. 2) Ultra Shocking Revelations - Ok, if you need a little sass in your life, Eliza is your girl. This bigger than life blogger holds nothing back. Ultra-shocking, yes. Ultra-refreshing-honesty, double yes. 3) Hyperbole and a Half - So, maybe this chic has been struggling with some stuff lately (and is super brave to blog about it), but hot-damn she is funny. Check out "The sneaky hate spiral" and "This is why I'll never be an adult" if you just need some roll-around-on-the-floor-tears-streaming-down-your-face laughter. 4) Smitten Kitchen - Fearless cooking from a tiny kitchen in New York. This blog is about real food, that real people can cook, that tastes real good. My go-to for every day meals. 5) La Tartine Gourmande - Whoa. This lady can COOK. and LIVE. and PHOTOGRAPH. and WRITE. Talk about inspiring. 6) Root - Molly has style. Like, holy crap how does she make that look so good, style. She just moved to the south of France (yeah, right..??!!) and posts incredibly beautiful stories, pics, and designs to inspire your inner creative goddess. 7) Whatshouldwecallme - This one was sent to me about a week ago. I don't know if this is blogging. I don't know what it is, really. You're welcome. Newer PostStress...not so bad, after all. Older PostHow 'bout a banana?